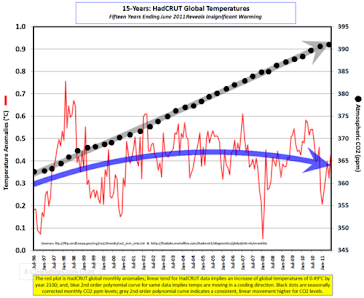 Climate Common Sense: How is that global warming going? The RSS satellite temperature anomaly dropped by .16 deg C in August accentuating what now seems to be a cooling trend contrary to all global warming predictions by alarmists. Meanwhile NASA has now claimed that August was the "hottest" on record using wildly tampered GISS records from the Ministry of Truth at NASA. This past August was the warmest since records began in 1881, according to new data released by NASA. The latest readings continue a series of record or near-record breaking months. May of this year was also the warmest in recorded history. Dr. Gavin Schmidt, a climatologist and climate modeler at NASA's Goddard Institute for Space Studies, told The Huffington Post that while the agency's data does indicate that this August was the hottest on record, the difference falls within a few hundredths of a degree compared with previous Augusts. 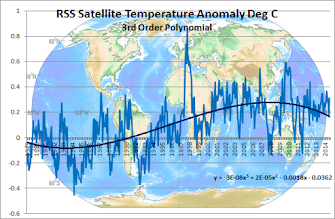 Back in the real world Real Science analyses the August temperature anomaly from the un-tampered RSS satellite record .In fact it was the sixth coolest August since 1997, and below the declining trend line. 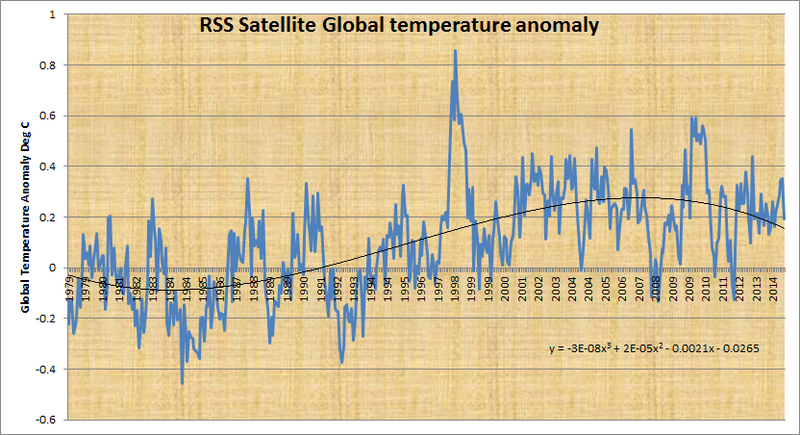 The GISS record has jumped a massive .33 Deg C since 2013 compared with the satellite record giving meaning to claims of "Man-made global warming."